This past week my Dad and Aunt Kathy (Dad’s sister) have been helping and visiting on the dairy. For their first 5 days of visiting is RAINED, and it was a cold rain at that! Yesterday was the first day the sun was out, the air was crisp, but it was nice to be outside and not get wet. After I completed a slew of tasks, my Aunt and I walked down to the bottom pasture while my Dad followed along to feed the dry cows down below. The views out right now on a clear day are so pretty. The leaves are all off the trees so you can see other pastures through the trees that you can’t see during the summer because their is so much foliage. So you might be wondering why I titled this post “Prancer Jacket”…well let me explain! 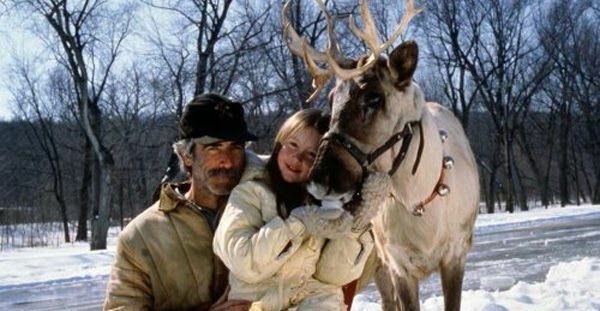 The movie Prancer came out in 1989 with Sam Elliot. Do anyone you guys remember?! It has always been a family favorite. 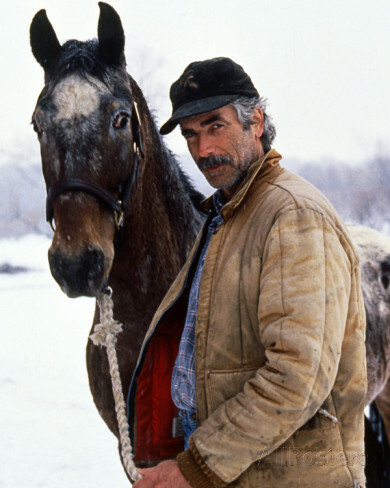 In the movie Sam Elliot always wears a Carhartt jacket throughout the movie. My Dad has the same jacket, probably since 1989 too, and always wears it when it’s really cold. Mind you it has been washed 50 million-bajillion times and has no weight to it anymore…but it’s his favorite. Here are some comparison pics! Irregardless…my Dad loves his jacket and it has become a laugh between Jer, Ty and I because it will be in the 20s outside, pouring icy rain and he’ll still be in the prancer, lol! Me- Hey Ty…have you seen Dad? Ty- Hey Jade…it’s like 20 degrees outside, freezing winds and Dad won’t go put a thicker jacket on; he’ll only wear the Prancer?! Me- I know…he loves his Prancer jacket (shaking my head), he’s such a stubborn old man! My Dad loves his Prancer jacket and I can tell you this, we could go out and find the exact same one, just newer and he will still wear his old one. My mom has bought him countless nice jackets but he refuses to wear them!!! As much as we “kid” we love his Prancer Jacket all as much as he does…it’s iconic. In other news….this is what it looked like down below when feeding the dry cows. As soon as the cows heard the grain trailer on the back of the gator, they came running and chasing the cart. Their grain troughs are on the other side of the creek. The creeks been dry recently because we haven’t had any significant amount of rain, but since the last stormed that spanned over 5 days we have water! I love when the creek has water…so peaceful, I love to just walk up and down it looking at the different ways the water makes its way.